and with a number of series in this category coming out, we're excited to see this world come to life with individual series as well as when they mix within their stories. Marvel The Defenders is a limited series based on the Marvel Comics characters Daredevil, Jessica Jones, Luke Cage and Iron Fist, who form this superhero team in the Marvel Cinematic Universe (MCU). Sometimes you have things to do and when you can't think of music you want to hear on your Spotify account, it's time to put a podcast into your rotation. 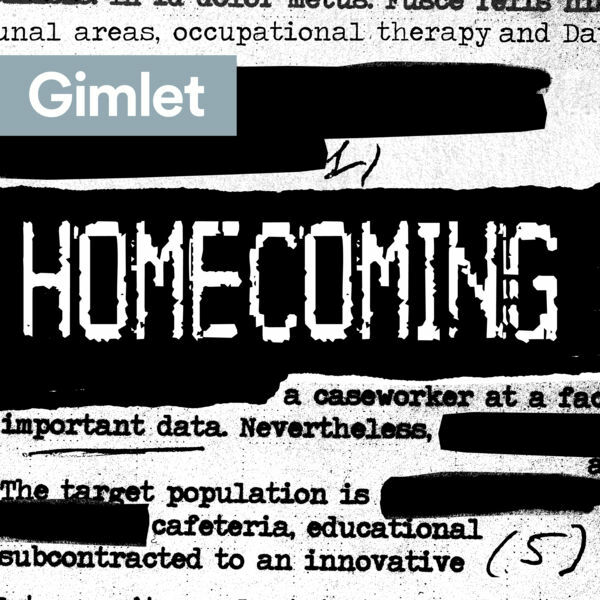 We're always listening to a number of great shows and earlier this year we stumbled upon Homecoming. We listen to a number of well produced podcasts, but the special aspect of this one is the fact that it takes place within snippets of conversation whether it's happening in realtime, a flashback, a recording, etc. Although the second season is currently being released, even the very first episode throws you into a world that you're not sure what's going on. It doesn't help that a number of the characters are also confused as many have memory loss! a journey with those that are hired to learn about the soldiers and realize that everyone is receiving partial information and what the morality is for those that are trying to help the soldiers versus those that will do anything at any cost to move up the ladder. This season, there is a book that can be read online that follows the journey of one of the main soldiers so that you can understand more backstory on what is taking place. This psychological thriller is voiced by David Schwimmer, Catherine Keener, Michael Cera and Oscar Isaac. Welcome to the third season of Hulu Originals' Difficult People. If you haven't caught up, it's a good time to do so as the 3rd season continues to look at the world of Julie and Billy, aspiring comedians who are 30-somethings living in NYC. While they wait to be the versions of themselves that they believe they should be, they have their day jobs while thinking bitterly of their friends who are living their best lives. This duo performs at local comedy clubs together and live a life where everything is viewed from their vantage point like an ongoing selfie. By day, Julie is a TV blogger and her friend is a waiter. This season, as always, has a number of celebrities that flow through this 30 minute series, and this season, you can expect a number of jokes about the current political climate from their vantage point of course. Read more from the Aug Issue and see Bingely Streaming in mag.